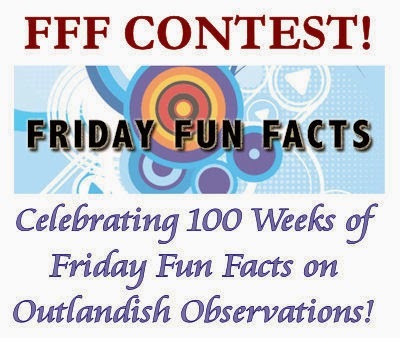 Outlandish Observations: Friday Fun Facts Contest! 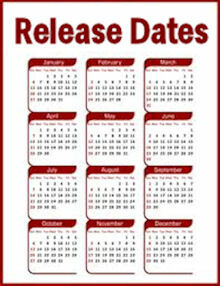 This week's Friday Fun Facts post will be the 100th installment since I started posting the FFF on January 27, 2012. (Not bad for something I started more or less on a whim! <g>) Thanks VERY much to everyone who's commented on my FFF posts over the past 100 weeks. I really appreciate your support! 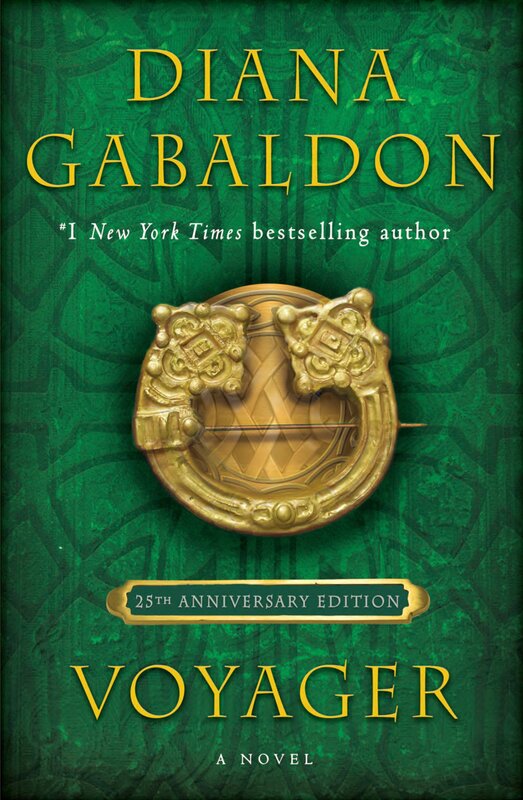 In celebration of this milestone, I've decided to have a little contest. The object of this game is to come up with your own "Best of the Friday Fun Facts" list. You can choose from any category. There are no right or wrong answers here; this is just an opportunity to share some of your favorites. 4) All entries must be received by midnight Eastern Time on Saturday, April 5, 2014. 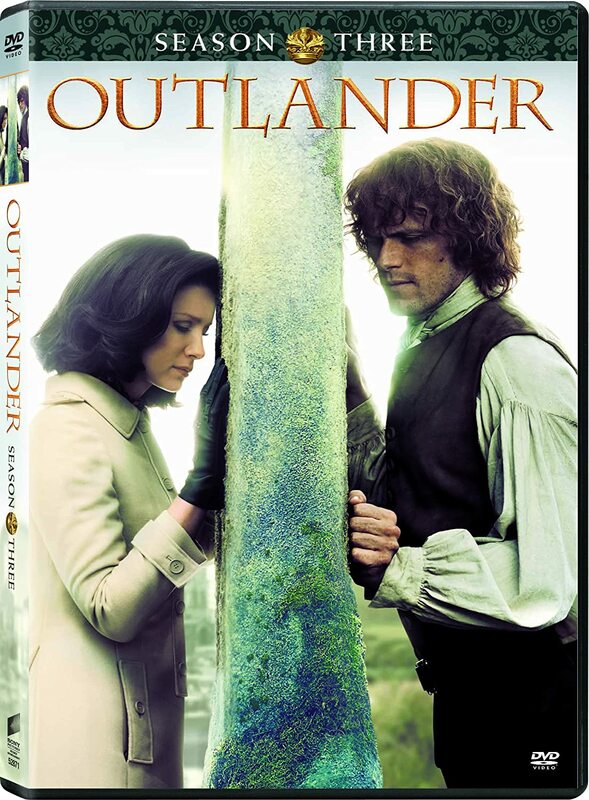 The winner of the contest will be selected by a random drawing on Sunday, April 6th. 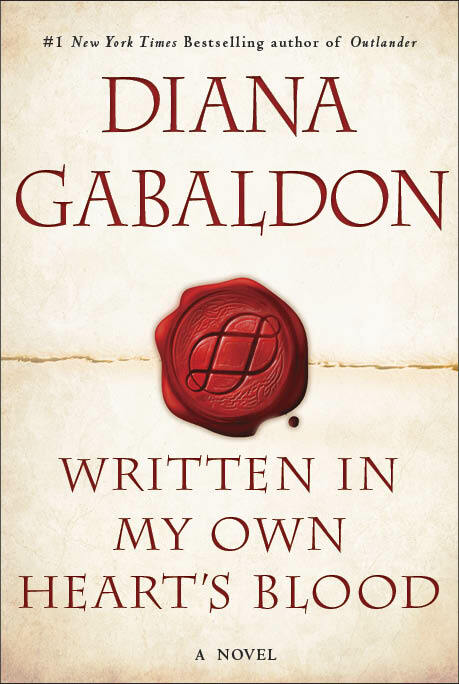 The winner will receive an autographed copy of Diana Gabaldon's upcoming novel, WRITTEN IN MY OWN HEART'S BLOOD, upon its publication on June 10, 2014. I will arrange to have the book shipped to you from the Poisoned Pen bookstore in Arizona. PLEASE NOTE: I will acknowledge each entry as it's received with a reply by email within 24 hours. If you sent in an entry but you did NOT get a reply back from me, please re-send it and make sure that you put "FFF Contest" in the subject line, so I will know it's for the contest. Thanks. How much of the FFF do you want? Example: Fridstool and tell why I picked that one OR do you want more in the way of references, book source, quotes, etc? Thanks and love the FFF. Becky - just the item description ("fridstool") is fine. I'd love to know why you picked the items on your list, too, but that’s not required. Congratulations on your 100th FFF installment! What an amazing milestone. 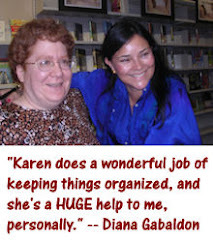 Its success is a testament to your creativity and your love for the Outlander series. Thank you for creating FFF "on a whim!". Thanks, Nancy! :-) Really glad everybody's been enjoying the FFF!